Upcoming Pin College hosted by Troop 118. Let me know if you need the information in a different format. We appreciate all that everyone is doing to support the Scouting movement in the Cross Timbers district. Pantego Christian Academy is having an event at their school on December 8, and they need to use the rooms that we normally use for our Round Table. The time is the same, 7:30 pm to 8:30 pm. Bring some cookies or candy. We will be socializing and giving more information about the Camporee and next Summer’s Cub Day Camp. Attached are a few document related to the camporee. 1. 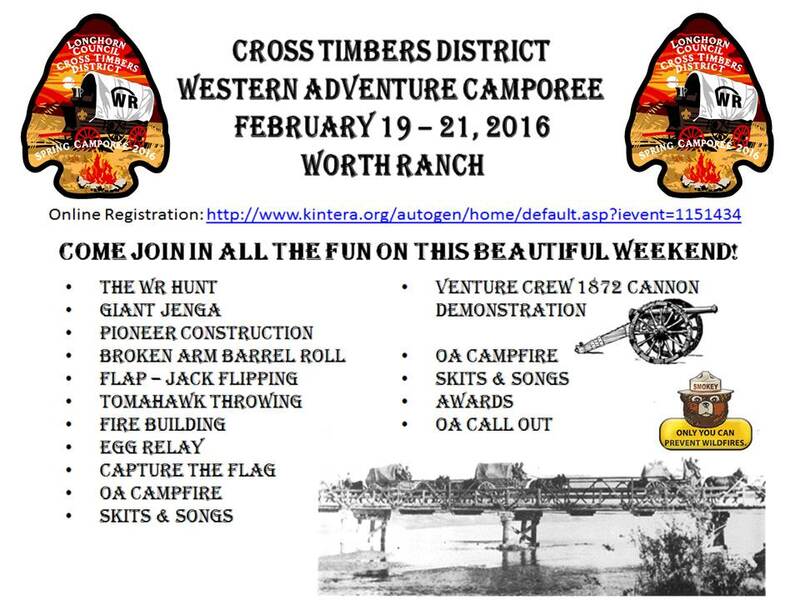 The Cross Timbers District Camporee 1.docx is the Schedule that has been put together. 3 is an option form to use for registration.